Brian focuses his practice on businesses and individuals seeking counsel on business and finance, real estate and litigation matters. 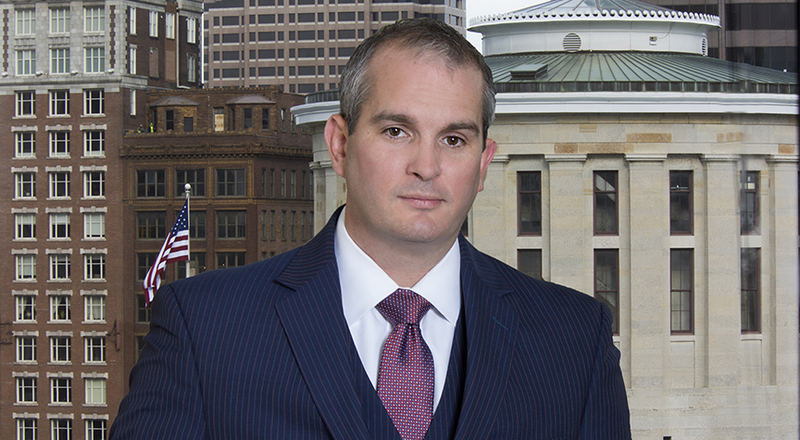 Brian brings a decade of experience to the clients he serves across the state of Ohio. Before joining Taft, Brian built his legal reputation as the owner and sole practitioner of his former firm, BKD Legal, LLC, which assisted clients in cases related to real estate property, general business dealings, insurance, sports entertainment law, complex litigation and transactional matters. He has represented hotels, condominiums and real estate development clients across the country and will continue to do so at Taft. Brian earned his J.D. from Capital University Law School and his undergraduate degree from Washington & Jefferson College, where he received his bachelor’s in business administration and psychology. Served as counsel for Amie Morningstar, a former Circleville firefighter who filed and won a harassment and discrimination lawsuit against the city of Circleville. (“Ex-Circleville Firefighter Gets $3.35 Million for Harassment, Discrimination,” The Columbus Dispatch). Cattle for Kids Ohio, Inc.